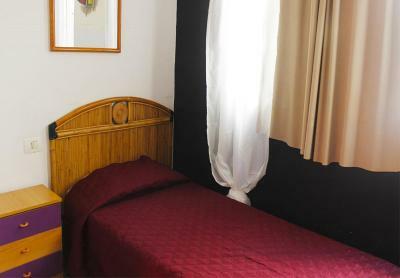 Lock in a great price for Alcaravaneras Hostel – rated 8.2 by recent guests! Nice room with a good location for a fair price! The guy running the hostel is really nice and helpful! Ease of checkin was nice.. Room price and cleanliness was outstanding. I liked the very nice staff, cleanliness and location and the fact it was SUPER CHEAP. I liked the service of people working there. Ciro was really helpful and nice, he answered all my questions. Also the location is quite satisfactory. The communication with the staff works perfect even if noone is at the reception. I read past reviews and they were largely correct: This is a basic hotel which offers good value rooms. But this value is possible because at night time there is no reception and location is not perfect (near a road). But receptionist was very helpful and friendly. I think the property was cleaned daily (Sunday I can't remember) and my room every third day I think or something like that. I never had the feeling that they should clean more ie the place felt very clean to me which did help me feeling at ease there! I can recommend booking a flight which makes sure one arrives morning or early afternoon which ensures one will meet the receptionist. That is what I did and it makes one feel more welcome compared to arriving alone and nobody to receive you. Once I had a question and I sent a message to the receptionist by whatsapp and he replied the same evening! The staff are very kind people, they provided warm service and helped us a lot. Definitely recommend. Alcaravaneras Hostel This rating is a reflection of how the property compares to the industry standard when it comes to price, facilities and services available. It's based on a self-evaluation by the property. Use this rating to help choose your stay! 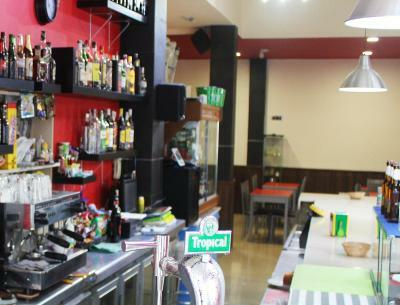 One of our best sellers in Las Palmas de Gran Canaria! 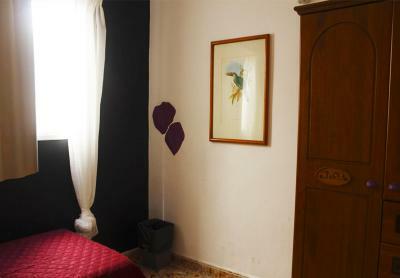 This guest house is located in Las Palmas de Gran Canaria, just 150 feet from Alcaravaneras Beach. It offers simple rooms with free Wi-Fi. 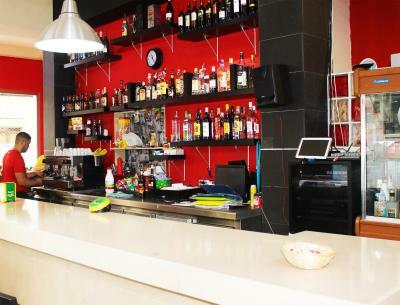 Alcaravaneras Hostel is close to Las Palmas’ main nightlife spots, as well as a range of shops. Gran Canaria Airport is a 25-minute drive from the guest house. Staff at Alcaravaneras Hostel’s reception can arrange surfing and scuba diving courses for guests. 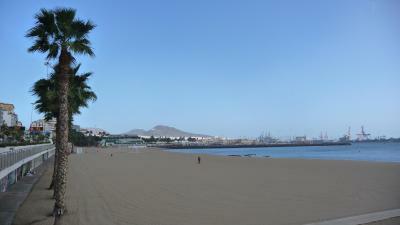 Las Canteras Beach is 15 minutes’ walk away. When would you like to stay at Alcaravaneras Hostel? This room features free WiFi and a private bathroom. This room features free WiFi and access to a shared bathroom. This room includes free Wi-Fi and a private bathroom. We are just 50 meters from the beach and in a very safe area, our hostel has all the services that you need to ensure the quality of your stay. We are closer to major shopping centers, you will have only a few minutes everything that you need . Public parking near the hostel. 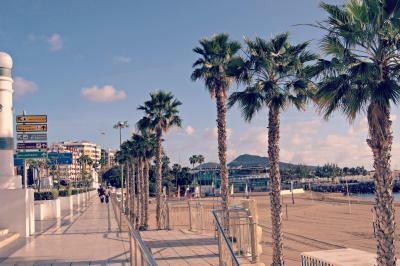 You can enjoy water sports at Alcaravaneras and Canteras beaches. House Rules Alcaravaneras Hostel takes special requests – add in the next step! Alcaravaneras Hostel accepts these cards and reserves the right to temporarily hold an amount prior to arrival. Please let Alcaravaneras Hostel know your expected arrival time advance. You can use the Special Requests box when booking or contact the property. Please inform Alcaravaneras Hostel of your expected arrival time in advance. You can use the Special Requests box when booking, or contact the property directly using the contact details in your confirmation. Toilet were's not good because it was not own. Very good vamue for money. I'd use it again. Low key which is what I want. Conveniently close to beach and transport. Mattress almost none existent. Pillow poor. Great check in process and communication. No TV in the room. Hot water generator need to be invested in. If your roommates have shower before you you have to content to have shower with cold water. Receptionist Ciro is very welcoming and assisting person. It was not a good experience at all. The kitchen equipment was negligible. Not even boiling water. I was not satisfied at all. Alcaravaneras Hostel is in the city centre, it provides very basic rooms, however, the rooms and the bathrooms are very clean and the hostel is cheap. The staff, both Ciro and the cleaner lady, are extremely friendly. Highly recommended! bothersome to keep feeding the parking meters in the vicinity from 9 am to 8 pm. Better if you had no vehicle. While the property is well managed, it is a very spartan place. Very uncomfortable bed and pillow. Half of the rooms dont have any sunlight, instead, the only smallish window faces the internal shaft with ugly pipes. No soundproofing. Location is somewhat central but the nearby beach is not for swimming. Not for light sleepers. Luggage being dragged around and doors banged. Was quiet though after 2300 until 0800. The manager Ciro was helpful and obliging. Wifi enough for SMS/email, not for streaming, depending on how many guests were on line. Bar/Cafe down stairs had same log on and the wifi was superior.